I’m writing this blog post to talk about an issue my running partner and I have had to discuss recently. I’m pretty sure other running partners and groups have had to address this same struggle. So I thought I would share my experience. Carbo (as he likes to be called) just finished his first 100 mile run. I ran the same race, but it was my sixth 100. I’ve been training at the 100 mile level for three years and running consistently for 10. He has been training at the 100 mile level for one year and training as a runner consistently for a year and a half. Given just this information, you’d expect some differences in our ability and knowledge of running. So here is the struggle when running with a training partner or group. What do you do when one or more of your runners are not able to keep pace for whatever reason? As the runner who is not able to keep pace you feel like your group is leaving you behind and you feel like you are not as good as the others. You begin to question yourself, your running ability, and your training. You feel bad you can’t keep up and you also feel angry or hurt because they are not waiting for you. As the runner who is pulling ahead you feel bad because your group is not able to keep up. You wonder if you should slow down. You hope they are not sick or injured. You know they are struggling and you want to help. I think these feelings are rational and understandable by anyone who has run with others on a consistent basis and formed the bonds of friendship. So what do you do? You run your own race. Think about your goals and your groups goals, are they different? If your goal is to complete a specific distance in a specific time, you need to stick to your training and let your friend know why you are not waiting. If your goal is just to run with your friend, by all means slow down and let them set the pace. It’s the same for the other side. If you can’t keep pace, ask yourself what your friend’s goals are. If they are different let them go and do what you need to do to meet your goals or get stronger to keep pace. Is your runner who is falling behind, injured or anything else that may be holding them back? Obviously you want to know if your friend is hurt, tired, over training or anything else that may be slowing them down. You might be able to help them resolve the issue and if they are hurt encourage them to stop and take care of themselves. On the flip side, know your body and listen to it. There is no shame in taking time off to take care of yourself. Continuing to push to keep up, will only make you fall farther behind and could result in serious injury. How long do you think the struggle will continue? Short term differences in pace are going to happen. If you are recovering from a race or illness you can fall behind. Don’t stress about it. Let your body recover and then get after it. If there are differences in strength or ability, do what you need to do to get stronger and faster within your own limits. As the faster runner, help your friend become a better runner pass along information or strategies you’ve used to get to where you are. If you believe this will be an ongoing struggle you will have to think about going your separate ways at least as far as running is considered. This is a hard decision to make, but with communication and understanding you can still remain friends and run together on easy days. Is there value to both runners to work through this struggle to become stronger runners? Every situation offers a lesson if you are open to hearing it. Usually, the longer you ignore it the worse it gets. There are a number of lessons in this situation: listen to your body and take care of it, learn new training strategies, push yourself beyond what you think you can do (so long as you are not injured or over training), communication goes a long way, and whether or not your new training is working. Realizing your limits and accepting them is hard. We are all different. Running with others is a great way to push yourself and to make gains in your training. You have to run your own race. You have to make decisions which put you in the best spot to accomplish your goals. Maybe this is a little selfish. I’m sure some people think so. And I would tell them, their goals are just different and that’s okay. 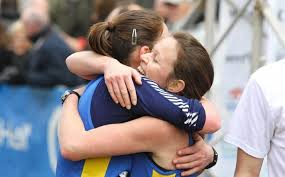 Even if you train individually at times and together at others, when you both reach the finish line, you can always celebrate together. Don’t worry Carbo, I think this is a short term struggle. How attached is too attached? We all love our running partners, but what do you do when yours gets injured or isn’t available to run with you? When you are running with a training partner, it can become hard to run on your own. A training partner provides that extra motivation and accountability when you are struggling to get out the door. They provide a distraction when the miles get hard. They push you harder than you push yourself. And they become one of your closest friends. Training partners are a wonderful thing to have, but you should always have a back-up. Some runners are just able to self-motivate more than others and getting out there isn’t a problem whether someone is there or not. It’s easier to get lost in your thoughts and work through life when you are on your own. So what do you do if you are not a highly self-motivated runner, who goes regardless of the availability of your partner? You can find a running group rather than just one partner. Even if you don’t run with a group, having a community of runners who support one another, but may not running together can make a difference because you continue to be accountable and encouraged. Find a new running partner. Listen to music, podcasts, or an audio book while you are running. These can provide the distraction you need to pound out lonely miles. There are also smart phone applications built specific for runners. If you are strictly a numbers runner and knowing your stats is enough, the app runkeeper will do that for you. There are apps that provide encouragement, social aspects, and numbers while you run endomondo, may be the app for you. Zombies, run sends you on missions in a zombie infested world in addition to tracking your miles. Couch-to-5k is a great app for runners just starting out or for those returning to running from an injury. Runtastic will tell you stories while you run. Charity miles donates money for each mile you run to a charity of your choice. It’s an excellent way to make your runs count for more than yourself. There are tons of apps out there if you suddenly find yourself all alone for your runs. 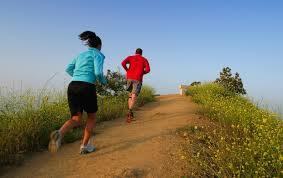 Don’t let the permanent or temporary loss of your running partner deter you from maintaining your goals.